The MSR FreeLite™ 2 is a new two person tent released in 2016 by Mountain Safety Research. 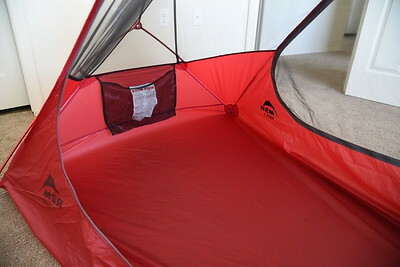 At the time of this writing (February), the tent is only available in a few stores due to delays from the manufacturer. I recently got my hands on one to replace my trusty Big Agnes Seedhouse SL2. Although I was happy with my Seedhouse SL2, when I get my mind on some sweet new gear, I have to have it. I figured if I sold the Seedhouse, it would lessen my feelings of guilt in buying a new tent for several hundred dollars. Also, it didn't hurt that I had a 20% off coupon to use on the FreeLite. 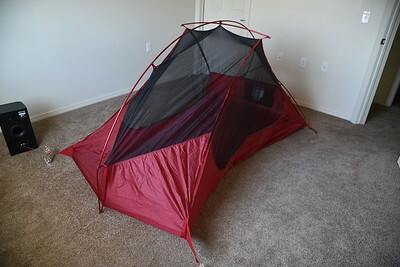 The FreeLite looks like a pretty awesome tent, and I'm hoping to write up an in-depth review in the coming weeks once I get a chance to use it. 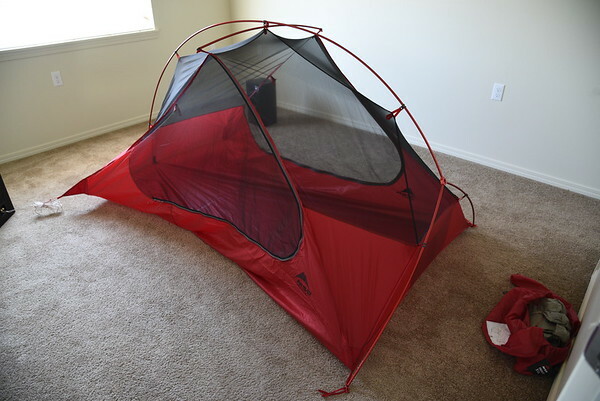 Before pulling the trigger on the FreeLite 2, I also looked at a couple other tents. 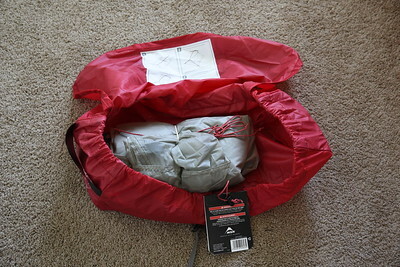 The first was the Big Agnes Fly Creek UL2. It is pretty much the same tent as the Seedhouse, but several ounces lighter. The second was the Big Agnes Copper Spur UL2. The Copper Spur is the closest thing out there to the FreeLite from a major competitor. It has a few different features, and supposedly weighs a few ounces more. In the end, I chose the FreeLite because it has a bit more floor space over the Seedhouse and Fly Creek, two side opening doors, and it is supposed to be a few ounces lighter (more on that later) than both the Seedhouse and the Copper Spur. I could have purchased the Copper Spur for $30 less than the FreeLite. When the tent arrived, it was everything I expected from a mainstream tent maker like MSR. The quality of the materials felt very much the same as my trusty Big Agnes. The polished red aluminum poles and stakes look awesome compared to the boring plain aluminum of the Big Agnes. The first thing I did was throw it on the scale. I've consistently been getting 3 pounds 0.2 ounces, four ounces more than what MSR states, with everything included. Without the main stuff sack, I'm getting 45.5 ounces. That's maybe a couple ounces lighter that what my Seedhouse weighed. MSR claims the tent is freestanding. However, in order to open up the tent floor properly you will need to stake out AT LEAST two corners. Actually, the MSR set-up video says that the first step is staking out all four corners in order to get a wrinkle free floor. 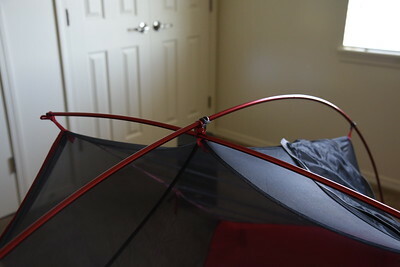 I can attest to this, because if you don't get the slack out of the floor before raising the tent, you will have a significant V-shaped crease in the floor due to the poles only having one insertion point on the foot end of the tent. It's a bit of a bummer, but not a deal breaker for me. While setting up the tent indoors, I had to use two speakers to pull out the foot end corners. In a couple of weeks, I plan on taking the MSR FreeLite 2 on her maiden voyage into The Maze. Hopefully I'll be able to make a short video on how the tent sets up and performs. Until then, I'm pretty happy with the tent. It looks cool. It's saved me a few ounces. It has dual side doors. It has a little more "liveable" space than my Seedhouse. I got it on sale and sold my Seedhouse for $160 to offset the price. I do wish I had a chance to directly compare it to the Copper Spur, though. If you have any questions, feel free to leave them in the comments below.